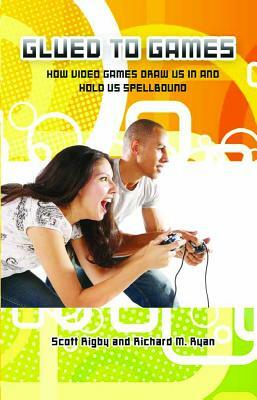 With video game sales in the billions and anxious concerns about their long-term effects growing louder, Glued to Games: How Video Games Draw Us In and Hold Us Spellbound brings something new to the discussion. It is the first truly balanced research-based analysis on the games and gamers, addressing both the positive and negative aspects of habitual playing by drawing on significant recent studies and established motivational theory. Filled with examples from popular games and the real experiences of gamers themselves, Glued to Games gets to the heart of gaming's powerful psychological and emotional allure--the benefits as well as the dangers. It gives everyone from researchers to parents to gamers themselves a clearer understanding the psychology of gaming, while offering prescriptions for healthier, more enjoyable games and gaming experiences. Scott Rigby, PhD, is founder and president of Immersyve, Inc. Richard M. Ryan is a clinical psychologist and professor of psychology, psychiatry, and education.